The Society of Broadcast Engineers, the association for broadcast and multimedia technology professionals, has begun its first Mentor Program. The Mentor Program is designed to provide broadcast engineers who are new to the field a means to gain insight and work with a seasoned broadcast engineer who can share his or her acquired knowledge. 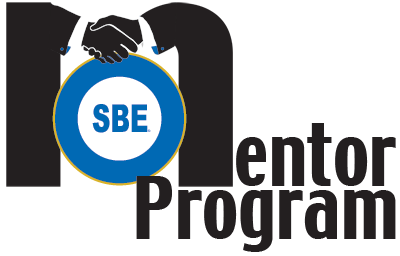 The SBE accepted applications for mentors and mentees from SBE members through September. Mentees were paired with mentors based on mutual experiences and career interests. Participants are asked to have regular communication by voice or video at least every other week. In all but a few pairings, mentors and mentees are not in the same city, but this should not impair the interaction of the participants. Officially, the mentoring will last one year, but the professional relationship can certainly continue. The inaugural launch of the program attracted 32 mentees and 18 mentors. Many mentors are working with more than one mentee. The SBE Mentor Committee is cochaired by SBE board members Jeff Keith, CPBE, and Eric Schecter, CBRE. On the launch of the program, SBE President Jerry Massey, CPBE, 8-VSB, AMD, DRB, CBNT, said, "This program provides a fast-track for those SBE members who are new to broadcast engineering to gain practical insight and knowledge from some of our more experienced SBE members. Through this, we are able to tap the knowledge resource to grow an engineering talent resource. I extend a personal thanks to the volunteer mentors who are participating in the SBE Mentor Program." The SBE is still accepting applications for new mentors and mentees. As new mentors and mentees apply, new partners will be matched.